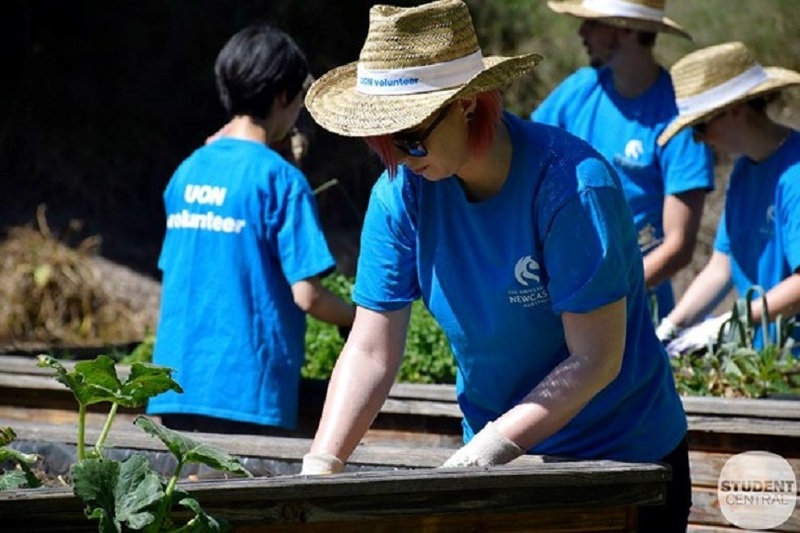 The UON Community Garden is located on Oval 4 behind the Wollotuka Institute and grows a seasonal range of fruit, vegetables and herbs. The garden is sustainable featuring two water tanks, compost bin, solar pump and six raised beds. All students and staff are welcome to be part of the events and activities that take place across the year, and are encouraged to use the garden as a space to relax in. Activities range from working bees and clean-ups to planting days and harvests, and there’s also a weekly watering roster. Gardening is great activity for your mental and physical wellbeing. At our Community Garden, you’ll meet new people and make new friends, sample some fresh organic produce, and be part of something sustainable. Join the UON Community Garden Facebook group to find out more about the Garden, and how you can be part of it.